A brief about myself, I am Deepa Suresh and author of “Scoop of Tidbits” (http://www.scoopoftidbits.com) blog. 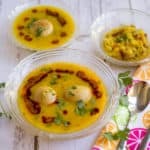 I joined the wonderful world of food blogging and started my journey 5 months back. As of now, my menu offers scoops of day-to-day simple recipes tried and tested in our kitchen. Today’s post is a guest post for a wonderful blogger, Srividhya. We became friends through social media. 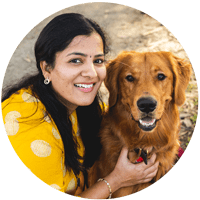 With our underlying passion being the same – food and blogging, I had an instant connect with her. 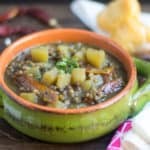 Vidhya has got an awesome collection of recipes at https://www.vidhyashomecooking.com. I am totally inspired and awed at how she manages and updates her blog regularly amidst her job and a kid. And I love her style of narrations and write-ups, quite interesting to read. There are quite a few favorite recipes of mine on her blog and the best I like is her ‘Baked Strawberry Dates Fruit Rolls’. This is my daughter’s favorite too and I am planning to try it out soon. I was more than elated when I saw her request for a guest post. When I suggested the option of posting the recipe for ‘Aloo Paratha’, she instantly agreed to it. Thanks Vidhya for giving me an opportunity to be the guest at your space. Moving on to the recipe, Aloo Paratha is a dish that is very popular in Northern states of India, particularly Punjab. 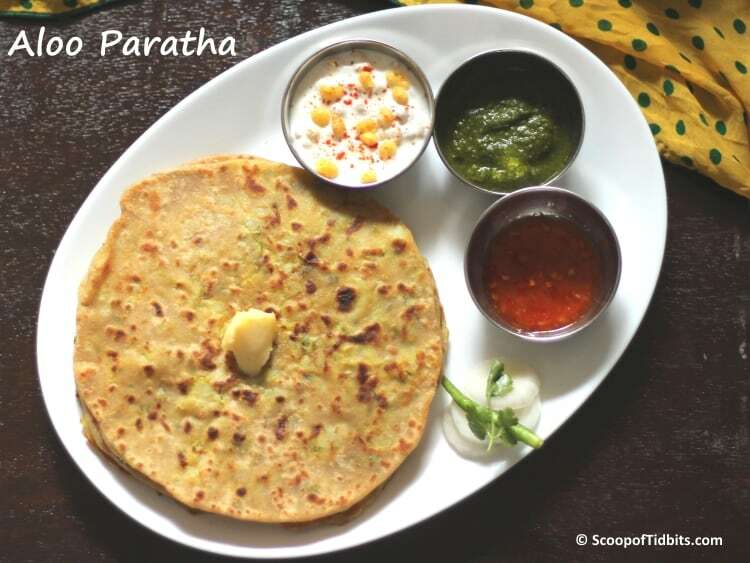 Paratha is an Indian bread that is either stuffed or non-stuffed served with butter, pickle or salad and thick curds. The stuffing may be anything like Aloo, Mixed Vegetable, Mooli (Radish), Cauliflower to name a few. Today’s recipe is Aloo Paratha, where spiced potato mixture is stuffed and made into Parathas. This Paratha is one of my family’s favorite dish. Also, I feel this is one of the easiest and tastiest stuffed Parathas to make. 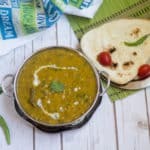 These Parathas are soft and apt to be packed in lunch boxes or for a picnic. Wash and pressure cook the potatoes until soft. While the potatoes are getting ready, finely chop onion, green chillies and coriander. Make the ginger-garlic paste ready by finely crushing about 1” piece of ginger and 8 cloves of garlic in a mortar and pestle or use a mixer jar. Take wheat flour and salt in a wide bowl. Add water little by little and make soft and pliable dough. Smear oil over the dough and keep it covered until use. Once the potatoes are done, peel and mash them finely without any lumps or small pieces. You can mash with the help of a potato masher or feel free to use your hands. Heat oil in a pan, once the oil is hot, add jeera and let it sizzle. Add the chopped onions, ginger-garlic paste and green chillies. Saute till the onions turn pink. Add the mashed potatoes along with the turmeric powder and salt to taste and chopped coriander leaves. Mix well and cook for 2 mins. Take off from flame and let the mixture cool for some time. Once the heat is bearable, divide the mixture equally. I got 12 equal portions. Keep it ready to be stuffed inside the paratha. Take one ball of dough, roll and flatten it into a disc of 5” diameter. Place the potato mixture in the center of the dough disc and sprinkle about ¼ tsp of dry flour over the stuffing. Gather the edges of the disc by pleating and join the pleats in the center. The gathered pleats will now cover the stuffing and will look like a money bag. Flatten the bag, sprinkle some flour and gently roll it to the size of about the regular chapathi you would make. I normally make the parathas a little thicker than the regular chapathis. Heat a tava; when hot, gently place the rolled paratha on the tava. Drizzle some oil over and around the paratha edges. When the base is partially cooked, flip the paratha using a spatula. Again drizzle some oil over the flipped paratha. Once the other side is cooked, flip it. Golden brown spots should appear on the paratha. You can press it with a spatula to ensure the inside is also cooked properly. Once both sides are cooked well with nice golden brown spots, remove the paratha from the tava. Repeat the procedure for the rest of the dough and make all the parathas in the same way. Serve it hot directly from the tava to the plate and enjoy it topped with white butter and thick curds or some tangy ketchup or pickle. I served it paired with boondi raita, green chutney and some spicy garlicky red chilli sauce….yumm combo. I used whole wheat flour for preparing the dough. Always cut the onions, green chillies and coriander finely and also mash the potatoes very well so that the stuffing does not come out while rolling. If you are finding it difficult to roll the parathas with the stuffing inside, you can alternatively try the following method. Roll out two plain chapathis (about 6”-7” in diameter) of the same size. Spread the stuffing over one chapathi leaving about ¾” of space on sides of the stuffing. 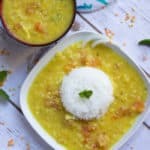 Place the other chapathi over the spread stuffing. Press and seal the edges using your fingertips. Dust some flour and gently roll the stuffed paratha to the size of a regular chapathi you would make. Once done, follow the recipe from step 11. You can use only oil or only ghee or a mixture of oil/ghee for cooking the parathas. Always cook parathas on medium-high flame as cooking on low flame will make them hard and softness may not be retained for a longer time. Above measurement yielded me around 12 medium sized parathas. If not serving immediately, stack the cooked parathas one on top of the other until serving in an insulated hot pot. Who doesn’t love aloo paratha! I can have this for breakfast every morning! Looks and sounds super delish! Aloo Paratha is my biggest weakness. ? 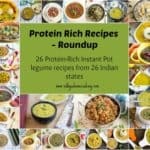 Loved how beautifully recipe is shared ? and looks so delicious! So healthy and filling ! Loved it! I wish I had one right now…?? Thanks for the wonderful comment Deepa..
Nice presentation by Deepa. It is sort of a staple diet for us, North Indians! yeah.. I liked it to. Thanks Alok and Thanks Deepa.